When satellites run out of fuel, they can no longer maintain their precise orbit, rendering them useless even if their hardware is still intact. “It’s literally throwing away hundreds of millions of dollars,” Al Tadros, vice president of space infrastructure and civil Space at a company called SSL, said this month at a meeting in the US capital of key players in the emerging field of on-orbit servicing, or repairing satellites while they are in space. In recent years, new aerospace companies have been founded to try and extend the lifespan of satellites, on the hunch that many clients would find this more profitable than relaunching new ones. In 2021, his company will launch a vehicle — as part of its Robotic Servicing of Geosynchronous Satellites (RSGS) program — that is capable of servicing two to three dozen satellites in a distant geostationary orbit, some 22,000 miles (36,000 kilometers) from Earth where there are about 500 active satellites, most in telecommunications. 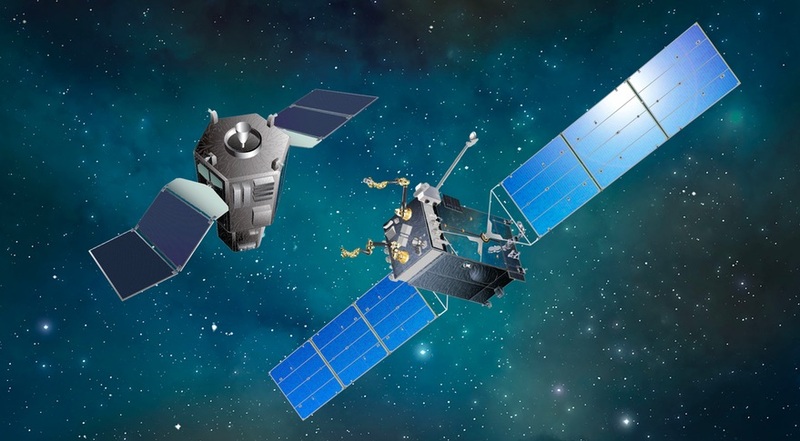 This unmanned spacecraft will be able to latch onto a satellite to inspect it, refuel it, and possibly even repair it or change components, and put it back in the correct orbit. And “it’s financially a very, very big opportunity,” he adds. When it launches in 2019, the spacecraft will attach itself to a broken down satellite, and reposition it in its correct orbit. The MEV will stay attached and use its own engine to stay in orbit. On-orbit servicing could also help cut down on the perplexing problem of mounting space debris. Of the 23,000 space objects counted by the US military, just 1,900 are active satellites. The rest — which move at speeds of some 12-19,000 miles (20-30,000 kilometers) per hour — includes nearly 3,000 inactive satellites, 2,000 pieces of rockets (such as the second stages of rockets) and thousands of fragments produced by two key events: the deliberate missile explosion of a Chinese satellite in 2007, and the 2009 collision of an Iridium satellite with an aging Russian one. No short term solution has been identified for small-scale space junk, but some companies would like to be able to remove defunct satellites from orbit. Since 2008, France has required satellite operators to take steps to “deorbit” their spacecrafts by programming them to re-enter Earth’s atmosphere in 25 years so that they burn up, according to Laurent Francillout, head of space security at the French National Center for Space Studies (CNES). When it comes to satellites in geostationary orbits, their end-of-life option is to go farther from Earth to a “graveyard orbit” 200 miles (300 kilometers) further away. “We are trying to promote these principles” in other countries, Francillout told AFP. A small Japanese company founded in 2013, Astroscale, is developing a system to approach and capture space debris and broken satellites. A test launch is planned for 2020. Airbus’s future “Space Tug,” planned for 2023, is being built to grab old satellites and push them down to 125 miles (200 kilometers) above Earth so they burn up. The problem of space junk is only getting worse. The number of satellites in space has already risen 50 percent in five years, according to the Satellite Industry Association, and growth continues. Meanwhile, debate is roiling in the United States over the need for better international regulation of space traffic, aimed at avoiding accidents and managing future conflicts. “We don’t want the Wild West,” said Fred Kennedy, director of the Tactical Technology Office at DARPA, the technological research arm of the Pentagon, noting that the United States, with its fleet of military satellites, is keen to establish sound practices beyond the boundaries of Earth.